The president of the University of Washington is appointed by the Board of Regents to lead the University in advancing its mission as one of the world’s leading public research universities. The president is assisted in this effort by a range of leaders across the institution, including two executive vice presidents. 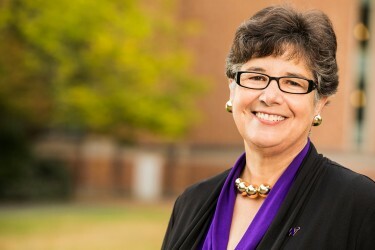 Ana Mari Cauce is the 33rd president of the UW. A professor of psychology and member of the UW faculty since 1986, she was named president in October 2015. Under her leadership, the UW is advancing all areas of its academic, research and service missions, with initiatives focused on innovation, race and equity, and population health. 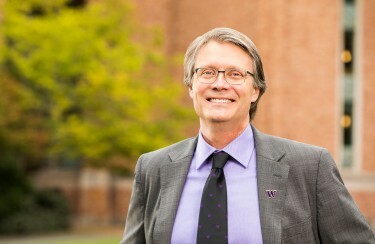 Mark Richards joined the University of Washington as provost and executive vice president for academic affairs in July 2018. A geophysicist, Richards also holds a faculty appointment in the College of the Environment’s Department of Earth and Space Sciences. As provost, he is the University’s chief academic and budget officer. Dr. Paul G. Ramsey is the CEO of UW Medicine, executive vice president for medical affairs and dean of the School of Medicine. 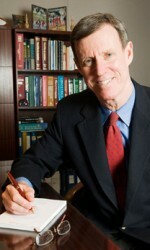 He has served as the senior executive leader of UW Medicine since June 1997. UW Medicine includes the UW School of Medicine, four hospitals, a network of primary care clinics, a large physician practice plan and a fixed wing and helicopter air ambulance service. As approved by the president by authority of the Board of Regents, this chart (PDF) reflects the reporting relationships of UW leadership.